which cushion? (see photo gallery) which cushion? (see photo gallery) (required)NATURAL & MONOCHROME CUSHION+PAD. 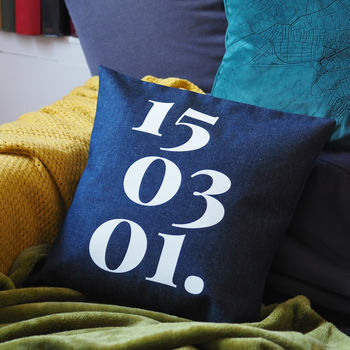 (- £9.95)DENIM CUSHION WITH WHITE PRINT+PAD. which cushion? (see photo gallery) (required)NATURAL & MONOCHROME CUSHION+PAD. (- $18.07)DENIM CUSHION WITH WHITE PRINT+PAD. which cushion? (see photo gallery) (required)NATURAL & MONOCHROME CUSHION+PAD. (- €11.73)DENIM CUSHION WITH WHITE PRINT+PAD. which cushion? (see photo gallery) (required)NATURAL & MONOCHROME CUSHION+PAD. (- $14.42)DENIM CUSHION WITH WHITE PRINT+PAD. 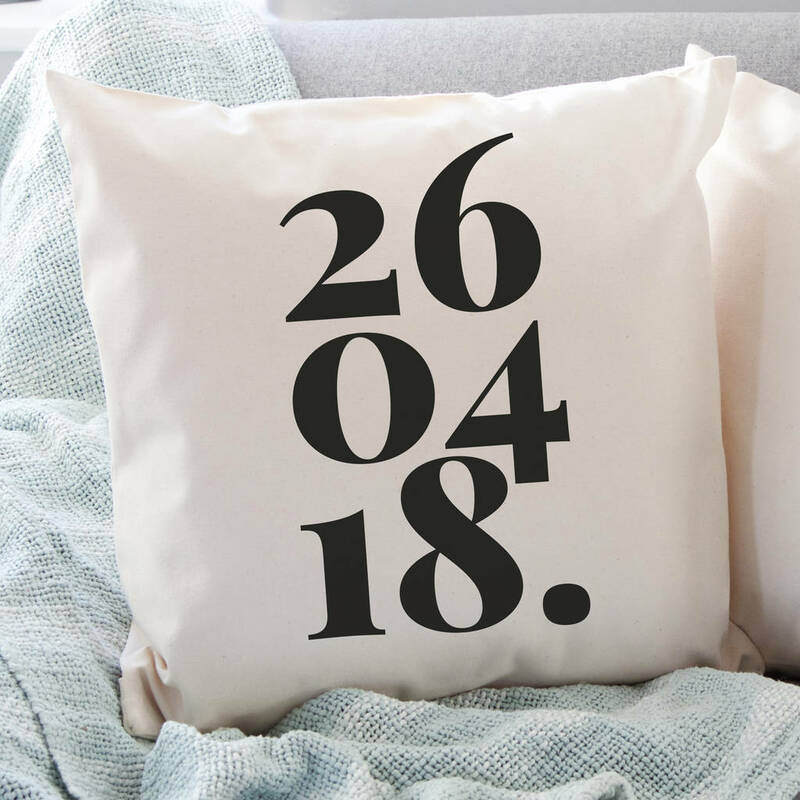 We love this modern classic design - it's a striking and unique cushion for many ocassions! It can be for Valentine's Day, an engagement, a wedding day or anniversaries. For a new home, new baby, Mother's Day or birthdays - it's up to you! 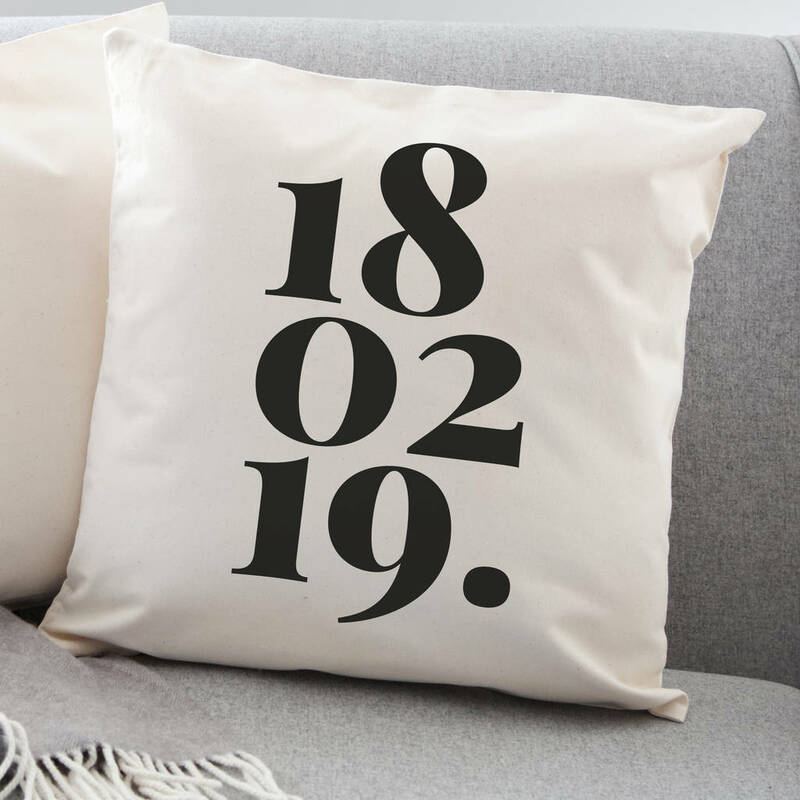 Let us know that special date and we will create the artwork for you and print it onto a high quality cushion cover. CHOOSE DENIM OR NATURAL CANVAS FROM THE DROPDOWN MENU. 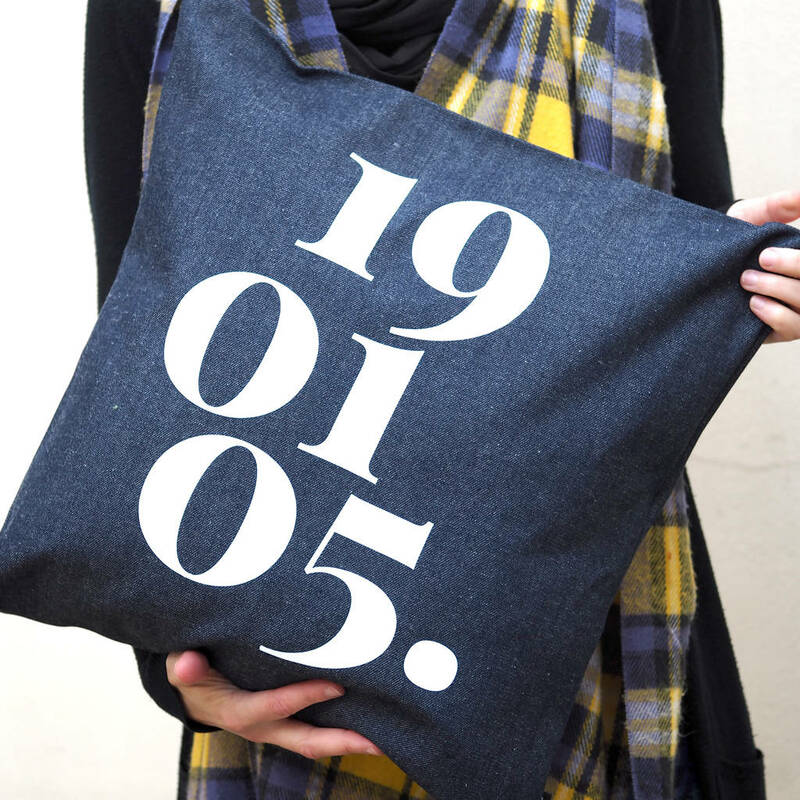 Love this typographic date design? We also sell this design on a plant pot, print, mug and greeting card. COPYRIGHT : DESIGNED PRINTED AND PACKED IN THE UK BY SO CLOSE STUDIO. We strive to provide detailed photographs for customers but please be aware that actual colours may slightly vary from those shown due to the nature of individual computer device settings.